I founded The Organizer 4U to help people organize their lives, eliminate their feelings of being overwhelmed, and empowering them to a new way of clutter-free living. I've been organizing for as long as I can remember. I have worked in a variety of offices as a Personal Assistant, Office Administrator and Marketing Coordinator, taking care of executives' filing systems, schedules and other organizational duties for over 20 years. I was born in Phoenix, Arizona, and have lived in Northern California for over 40 years. In the mid 80's I owned a chain of video stores from San Luis Obispo to San Ramon. I take pride in my customer service skills and enjoy helping others to achieve happy and organized lives. I sincerely believe I am making a difference in people's lives by helping them to streamline their homes and offices, allowing them to enjoy simplicity with less stress, and creating more time for themselves and their families. 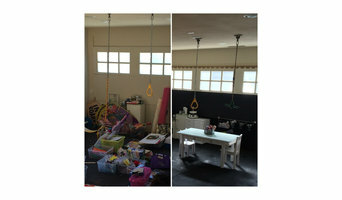 It gives me a great sense of joy and accomplishment to see my clients so happy in their new spaces. In addition, my clients get a 'double warm fuzzy' feeling knowing they are helping to find a cure for cancer each and every time they use my services or refer me to someone else, with 5% of my proceeds going to The Susan G. Komen For The Cure Foundation, in addition to the opportunity to pay it forward to local shelters in need. In October 2011, I temporarily gave up my business, I permanently gave up my apartment, and I sold all of my possessions for $1.00 (one dollar). I then set out hiking with my dog and a backpack, allowing God to provide my basic necessities (yup, I just used the word 'God' in my business bio). He did a fantastic job taking care of my needs and it was the most amazing experience thus far in my life. I'm back and settled in West Sacramento, eager to continue helping Northern California get organized. So if you've tried contacting me during that time, now you know why I didn't respond - and my apologies to you. Are you ready to make a change? Do you have questions? Call me today to schedule your personal FREE no-obligation consultation: (916) 804-1765. Come on, you deserve it! I look forward to helping you! Our passion is to create beautiful homes through decluttering, organizing, and styling. We are professional yet compassionate and nonjudgmental because we understand the decluttering process can be emotionally draining. We guide you room by room and help you decide which items to keep and which to discard. We coordinate donations and give advice on what to do with your unwanted belongings. Our clients include those who have recently moved into a new place, those who are downsizing to a smaller home, and anyone who is seeking the calm of living in a decluttered space. Don't let excess belongings get in the way of your ideal life. My name is Daria LaMoure and I love creating intentional and purposeful spaces for my clients. I specialize in physical decluttering of homes, offices, and storage units, as well as mental and emotional decluttering to support my clients in creating the life they feel content and fulfilled by. I am a Certified Professional Coach as well an a Professional Organizer with over 8 years of experience. My clients live in the Bay Area (North, East, Peninsula, and the city) and they crave clarity and freedom in their physical as well as mental spaces. At Closet Factory we are committed to helping you organize every part of your life, sticking by your side every step of the way. Our number one goal is to design for you a system that you will love. We accomplish this by listening to you carefully and involving you in every step of the design process. Only then do we create a closet design, one that will fit your needs and space perfectly. We believe that every unit we make is as unique as the person who owns it. Here at Closet Factory we understand that you want your home to be both aesthetically pleasing and maximized in terms of storage space and usefulness. And we can help you with that. The key word is “more”: “More,” because everyone in our company is focused on you and your needs. “More,” because everyone here is dedicated to delivering exactly the product you want. “More,” because since the beginning our belief and philosophy has been to provide you with the shopping experience you deserve. Because we strive to design, manufacture and install the best possible closet and home organization systems we offer a transferable, lifetime warranty* against defects in workmanship or materials guaranteed by the location you purchased from. So whether you want the clean look of a classic, all-white, melamine design or a traditional look created with real wood stained to match the other furniture in your home, Closet Factory is the right company for your projects and for you. We deliver boxes and storage containers. Our customers fill them, then we pick up containers, boxes, furniture, etc and store it all in our climate-controlled facility. We can then redeliver any or all items on demand. We are perfect for a remodel situation where you need to clear space in the house for work, but still have visibility and access to your household items. 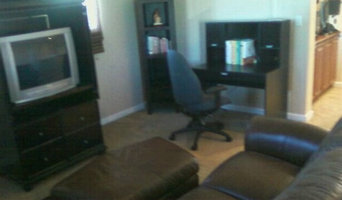 Efficiency Matters, LLC is an affordable choice for organizing your home and business. Let us show you how to maximize productivity in your home and business. We offer simple and efficient organizing solutions, and we work will all budgets. Sarah Tetlow will use her creative and resourceful organizational skills to help you free up the things that are cluttering your mind, home, storage spaces, closets, offices, bathrooms and life. Working with Sarah will give you the opportunity to have more quality time to spend on the important things such as your spouse, significant other, parents, kids, pets, garden, or whatever else brings you joy. Sarah recognizes that this is an overwhelming time for you – both in the current state of whatever is stressing you out, as well as the idea of inviting a professional organizer into your personal space. Sarah is understanding and sympathetic to the sensitivity of having a stranger in your home who will be handling your belongings. Whether you are looking to declutter a single room or your whole home, or you just inherited an aging parent’s documents, items, or estate, Sarah will ease your mind with her conscientious way of handling the most personal of items. Sarah ensures a gentle, non-judgmental, and confidential approach to each and every client. Sarah uses teamwork and a hands-on approach, working directly with you to help guide and effectuate decisions pertaining what to keep and discard, leaving you with a more relaxed and enjoyable space that brings you peace of mind. The process of organizing should be pleasurable and not overwhelming. Sarah will help you with that every step of the way. Being organized is not synonymous with being perfect, so in no way does Sarah expect you to have a perfect space before, during, or even after the process. Rather, Sarah will assist you in decluttering your home, mind, and space – replacing the clutter with a new system that works well for you, your family, and your lifestyle. Her process is unique to each client and project. Timeless design starts with organizing. Deciding what to keep and what to get rid of is the first step. Understanding what is working and what is not is the next step. Once these limits are established then creative design elements are added until there is a finished product. The best design comes from projects with limits.